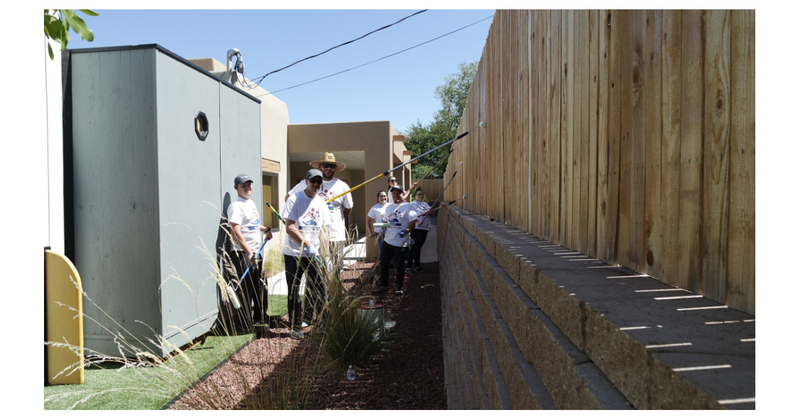 EL PASO, Texas–(BUSINESS WIRE)–Hunt Military Communities’ (HMC) employees once again joined forces to help support their local communities by participating in Hunt’s annual Helping Hands Day. In all, more than 40 organizations, located throughout the United States, were supported by hundreds of HMC employees who closed down their offices for part of the day to volunteer their time and energy in support of local organizations. Hunt’s Helping Hands Day is about utilizing employees’ time, energy and skills for an experience that helps to create a strong team spirit, while at the same time helping support critical community organizations. Ronald McDonald House, Partners in Housing, Rescue Mission of El Paso, Washington Animal Control, Children’s Cancer Fund, and various local food banks and homeless shelters. Hunt Helping Hands Day is part of the Hunt Heroes Foundation, Hunt Military Communities’ non-profit organization. Formed in 2018, the Hunt Heroes Foundation proudly serves military families, partners and communities through opportunities and ideas generated by our people and partnerships. Together, the HHF will discover new ways to ensure we help bring a positive change to the communities in which we live and work.